After devoting several years delving deeply into the military career of Ambrose Bierce, famed American satirist and short story writer, I am always interested in finding new first hand accounts of campaigns and battles he fought in. In the Autumn of 1864, Bierce was a staff officer with the Army of the Cumberland, fulfilling the role as Topographical Engineer with a division of the IV Corps. 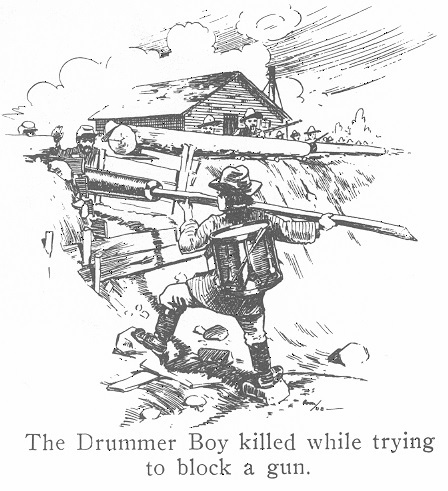 He was, as happened many times during the war, an eyewitness to bitter and bloody fighting. It was therefore with some interest when I came across a short book by another “engineer” who, like Bierce, was with Schofield’s little army on the road to Franklin and Nashville. While Ambrose Bierce was with Wood’s division in the IV Corps of the Army of the Cumberland, Levi T. Scofield (no relation to the general) was on the staff of General Cox’s division, with the XXIII Corps. 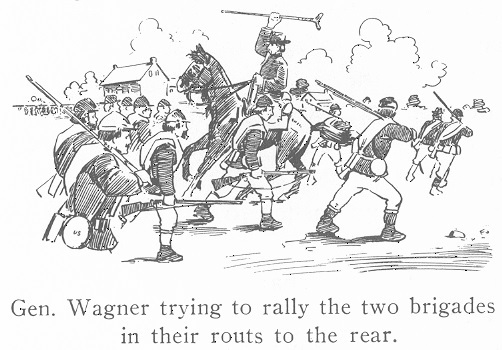 Both corps were part of General Schofield’s force on the “retreat” (actually a holding action, ordered by Thomas) from Pulaski, Tennessee all the way back to Nashville. While technically part of Thomas’ Army of the Cumberland for this campaign, Schofield, in his official report on the campaign pointedly lists his XXXIII Corps as part of the Army of the Tennessee. Although not given an official designation, Schofield’s little army was de facto the reconstituted Army of the Ohio, which had fought during the Atlanta Campaign that summer. Levi Scofield, as a nod to that unofficial fact, put the Army of the Ohio logo on the cover of his little book. Both General Schofield, commanding the Union troops during the march north, and General Hood, in charge of the Rebel forces, have both generally received criticism from historians over the years and for similar reasons. Before being appointed commander of the Army of Tennessee, Hood has been accused of going behind his superior, General Joe Johnston, and criticizing him to superiors in Richmond– with a view to getting himself appointed in Johnston’s stead. Schofield has been accused of much the same thing with regard to General Thomas to Washington. To what degree either Hood or Schofield were guilty of these accusations I will defer to others, save to note that recently historian Stephen Hood has argued vehemently in Hood’s defense and done much to rehabilitate “the Gallant Hood.” No one has yet argued similarly on behalf of Schofield. One thing is clear, however; both general’s actions during this campaign have been underappreciated. To be more precise, one could argue that what previous historians have viewed as Hood’s failures as a general are better understood as Schofield’s skills as a field commander. Hood should have won at Springhill and captured Schofield’s army; likewise, because of a fatal blunder on the part of one of Schofield’s subordinates, Hood came very close to triumphing at the very start of the Battle of Franklin. Luck and Brigadier Opdycke prevented an unqualified Confederate success there.—but it was a very close thing nonetheless. The fact of the matter is that General Hood’s army came closer to success at Franklin than General Lee’s did at Gettysburg—and were more exposed to enemy fire for a longer duration during the charge. For those unfamiliar with the role of topographical engineers during the Civil War, perhaps I should clarify their position in the War. Officially they were surveyors and map-makers, which today would be classed as a rear echelon staff position—hardly the stuff of daring-do and danger. During the Late Unpleasantness, however, their duties and responsibilities were far different. From the very start of the war, the lack of accurate maps of the South bedeviled Union commanders. During Ambrose Bierce’s tour of duty in western Virginia (today West Virginia), the lack of maps and bad guides cost the Federals several lost opportunities. 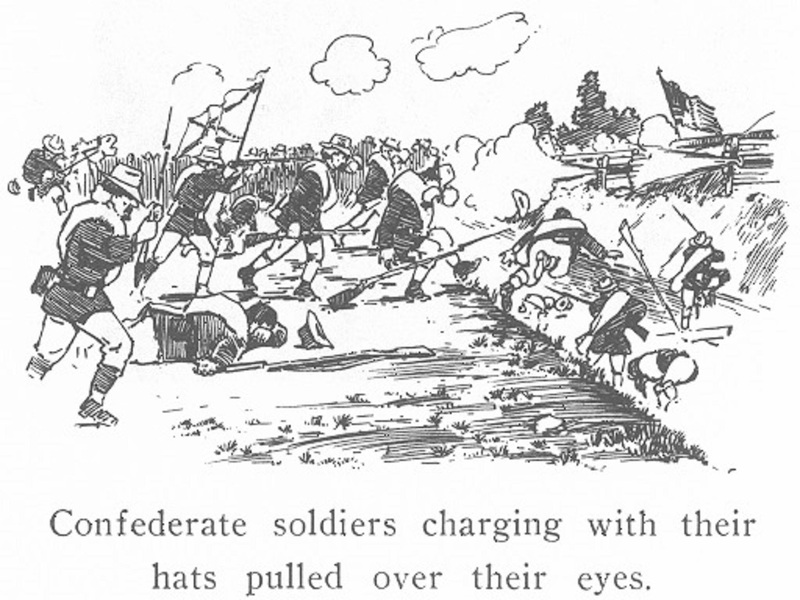 They would have fared far worse save that the Confederates were as green and as ignorant as they. Over the course of the next several campaigns in the Western Theater, however, Union commanders sought to rectify this deficiency and this is where the role of the topographical engineers came in. Knowing what roads led where, where and of what quality were the bridges, fords, road junctions and other features of the terrain became something of the highest priority. Far from working in the rear, the topographical engineers went out ahead of the army, often working behind enemy lines, gathering tactical intelligence of the countryside and of the enemy dispositions in it. It was extremely hazardous work and there was always the danger that, if captured, they would be treated as spies and executed. It was a far cry from being a rear echelon “red tab” (to borrow the British slang for a staff officer). During the Battle of Franklin, Bierce and the IV Corps were north of the Harpeth River, guarding the river crossing and the supply train, a position from which Lt. Bierce had a bird’s eye view of the start of the battle and which is related in some detail in Period of Honorable Strife. Captain Scofield, by contrast, was with General Cox’s rear guard and in the front line of the battle, so his memoir of that fight is quite vivid and detailed, with a number of anecdotes about the engagement not mentioned elsewhere. Being a topographical engineer, Scofield also had a good eye for where things happened and recorded them on the maps that accompany his book. As near as I can tell, he rendered these maps in watercolor or wash; there are also a number of pen and ink sketches that accompany his narrative and as no artist is listed, I am assuming that Scofield also rendered these himself. This is important, because there were no combat artists accompanying either army during this campaign, much less photographers, so the Autumn Campaign is very poorly documented in comparison to other campaigns of the war perhaps less deserving of the artist’s touch. A stereo photo by Barnard taken on the first day of battle, viewing the battlefield from the state capitol. Unfortunately, there was a heavy ground fog the morning of December 15 obscuring the view. In Nashville, Federal photographer George N. Bernard did photograph the Union defenses about the time of the Battle of Nashville. Many of Bernard’s photos of Nashville taken during the battle were originally taken with a stereo camera, although I have only discovered a few mounted on stereo cards. Perhaps others of this same series are squirreled away in some archive or collection. There were other photographers present as well and their work too is waiting to come to light. Although Captain Scofield wrote many years later–and his sketches and maps are presumably also of that vintage–the fact that he was an eyewitness to those events gives great weight to their value as historical source. A number of the anecdotes of the Battle of Franklin which he narrates he illustrates with his sketches. While Scofield’s sketches were not able to be incorporated into my current book on Lt. Bierce, they are nonetheless of value documenting the Battle of Franklin and have hitherto been poorly known. This, therefore, seemed to be an opportune time to publish a few of them as they relate to the battle. Let us commemorate those who fought and died on both sides with reverence and respect. There is special place in Hell for those who desecrate the graveyards and memorials of the war dead. Carnton Cemetary in Franklin where many of the Confederate lie. According to Captain Scofield, the Union dead were dumped in a section of trenches–where they may still be. 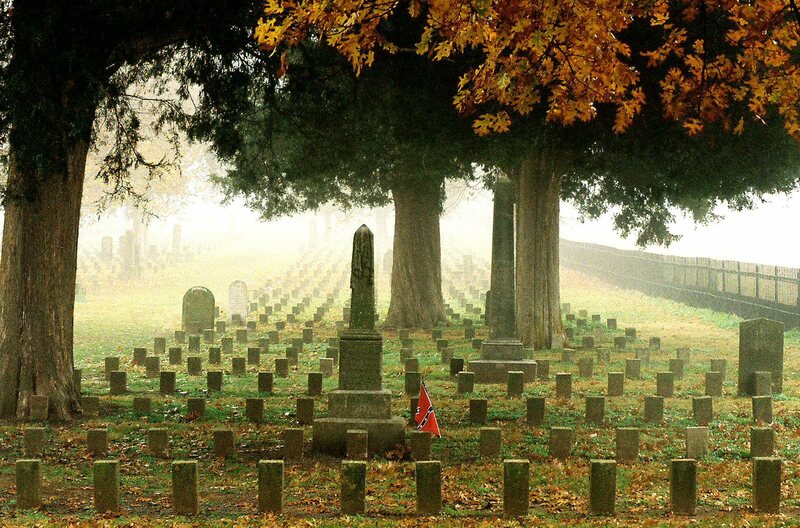 For more about the Battle of Franklin, see the appropriate chapters of Strange Tales of the Dark and Bloody Ground and Ghosts and Haunts of the Civil War, as well as the Williamson County chapter in Ghosts and Haunts of Tennessee. Documenting Abraham Lincoln’s encounters with the paranormal and his beliefs about them. The Paranormal Presidency relates his prophetic dreams, premonitions and beliefs, as well as his active participation in séances.